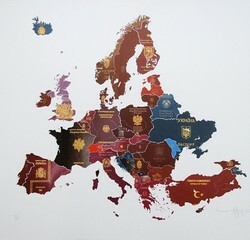 German-Soviet relations have always been special and this passport is a great example for these relations. Hermann Saam was a consular secretary and diplomatic courier at the German embassy in Moscow. Such Third Reich documents of duty in the USSR are extremely rare to find! 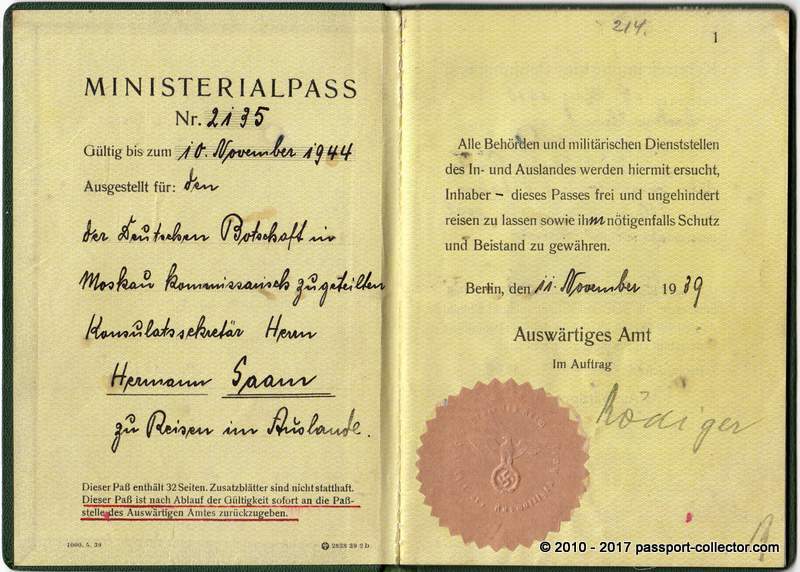 Hermann’s Ministerialpass was issued on 11th Nov 1939, about twelve weeks after signing the Molotov-Ribbentrop pact and about a month after WWII begun. The Ministerialpass has the document number 2135 and was valid till 10th Nov 1944. 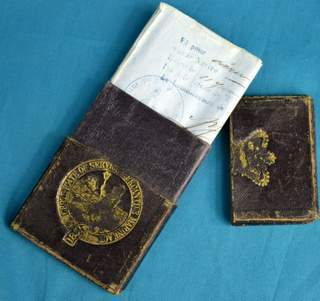 However, the last entry in his diplomatic travel document was from 23rd July 1941. More on this interesting handwritten entry, later. Saam was in 1939, when he was at diplomatic courier duty, 29 years young. 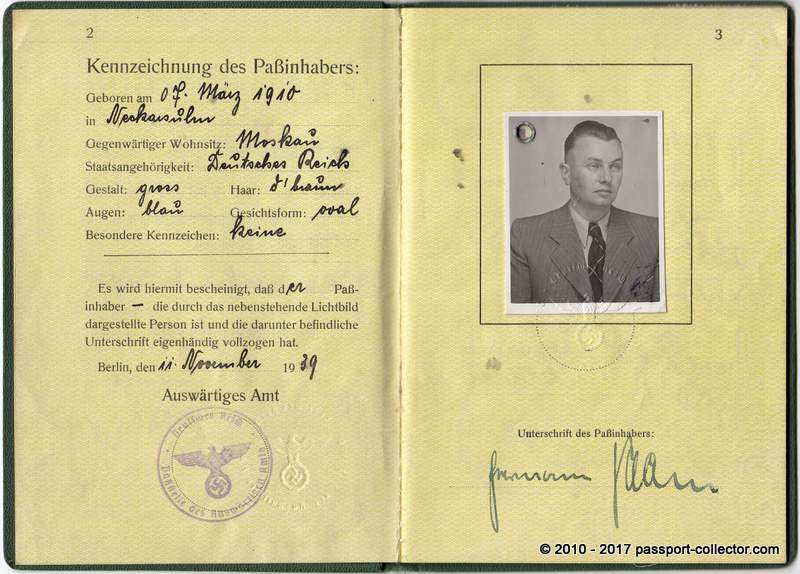 The visas in his travel document including Lithuania, Latvia, several USSR, several German visa (issued at the German embassy in Moscow!) 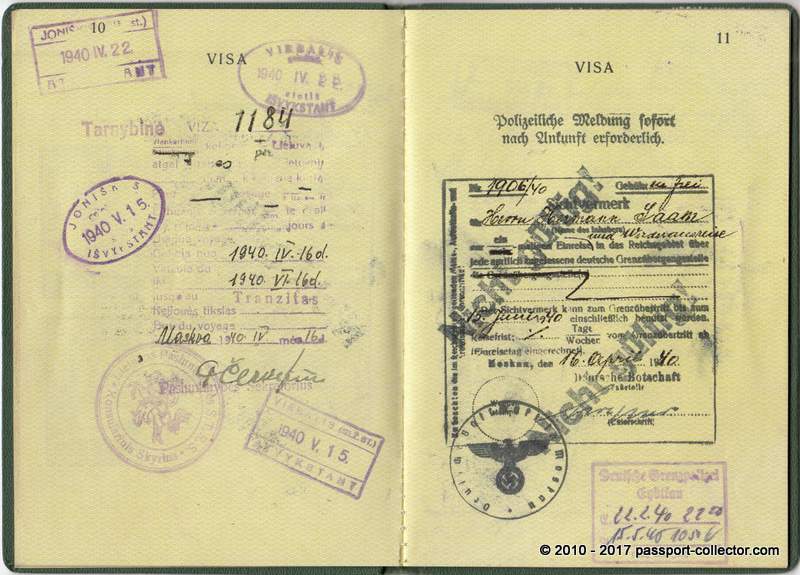 Nothing I saw so far was so close related to “Operation Barbarossa” than this diplomatic travel document. “I confirm herewith that Mr. Herrmann Saam is traveling from 23th July 1941 by a special transport back to the Reich, to work as Russian interpreter”. Stamp from the German embassy in Moscow, a signature (I can’t read – from an embassy official) and from Werner von Trippelskirch, who was the second highest German official and lead the embassy when ambassador Friedrich-Werner Graf von der Schulenburg wasn’t present. 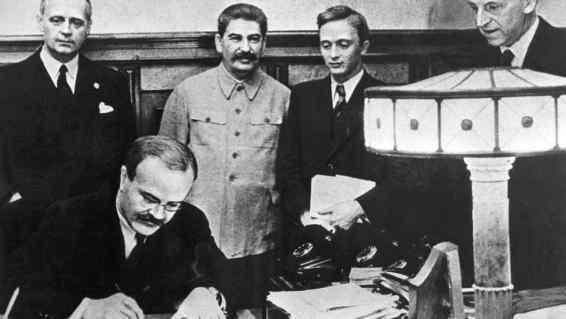 After the German attack on the Soviet Union in the summer of 1941 Tippelskirch returned to Germany (departure from Moscow on June 24, 1941). From July 24, 1941, he was employed in the “Political Department” at the German Foreign Office, where he worked as a councilor with the title of an ambassador to Russia, the Baltic States and Poland. He remained in this post until 1945. Tippelskirch was taken prisoner-of-war in America. 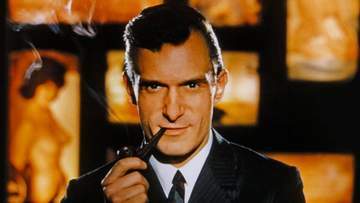 Subsequently, he was used as a witness at the Nuremberg trials. Tippelskirch’s cousin was the head of the General Staff of the Army, Kurt von Tippelskirch. All events are described in detail happening on 22/23 June 1941 at the German embassy. Further describing life at the camp. Issue no.2 of the camp magazine describes events from June 25 to July 24. It seems key German staff of the embassy in Moscow was imprisioned only briefly for a few weeks as they describe their arrival on July 24 in Berlin, Germany. WOW, great first hand stories!